LeUyen Pham is the illustrator of many books for children, including God’s Dream by Archbishop Desmond Tutu and Douglas Carlton Abrams and Aunt Mary’s Rose by Douglas Wood. LeUyen Pham lives in California. Pham’s colorful illustrations are pleasing as always; young readers will especially delight in locating the camouflaged monster in the art. With spot-on humor for its intended audience, this is sure to please series fans and newcomers alike. It’s an adorable and humorous installment in the Princess in Black series that shows that not all heroes look the same and many skills are useful and needed. Even young readers who don’t like princesses will find much to admire in the Princess in Black. 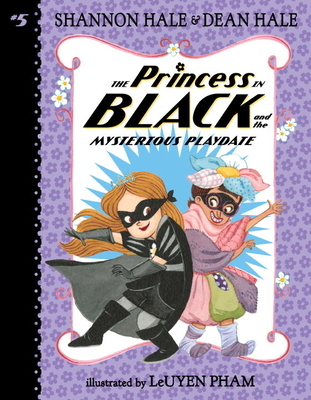 While she appears to be the model froufrou princess, Princess Magnolia has a secret life as the superhero Princess in Black, stealthily saving her kingdom from monsters and other villains.